All the available evidence suggests that Brexit will be chaotic and debilitating, but the answer is not necessarily to force a halt – unless it is the Hard Brexit devotees themselves who are forced to do it. In this blog, Conor Gearty (LSE) explains that a sudden reversal of Brexit would become the new casus belli. Equally, the government’s current exit plan, which is likely to grow into something plausibly akin to EU servitude, would also exacerbate the symbolic conflict over Europe in UK politics. A collective catharsis can only be achieved by putting the chief believers of Brexit in charge, he concludes, even if the price is a catastrophically hard exit from the EU. After another weekend of domestic politic chaos and with the former Foreign Secretary again testing the waters for a leadership bid against the Prime Minister, Brexit negotiations are yet again effectively on hold in the United Kingdom. Mr Barnier and his team in Brussels do not know whether the present British position will endure or that, even if it does, whether later UK governments will stick to it. The spectacle of the slow death of an ancient political party must, it seems, take precedence over everything else, even the future of the country. This post represents the views of the author and not those of the Brexit blog, nor of the LSE. It draws on an article published in The Tablet. 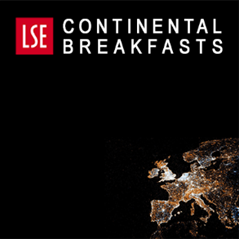 Brexit: the many roads to a crisis? So your answer is knowing we are marching towards a cliff edge, carry on to please a dumb argument from dumb voters. This is not to castigate the voters, but rather to indicate they have been led like lambs to the slaughter by rambling idiots such as the ERG. If the vote was for unicorns would you still seek to honour it? Imagine for a moment a smiling Nigel Farage on the steps of 10 Downing Street on a Friday morning in May 2020 This is what I think might well have been reality had the Government welshed on its commitment to implement the result of the EU Referendum. It’s worth a 5% cut in GDP to avoid that. My guess is that in 20 years or so, the UK will reapply to join the EU, if the EU still exists in its current form. The chaos which is now beginning will be viewed by the historians of 2070 in about the same way as historians today view the UK’s decision not to participate in the European Coal and Steel Community, so perhaps a serious mistake, but not an irretrievable catastrophe. In general I agree with most of the article, though the following sentence made me boggle: “no serious reflection on the rule of law and respect for human rights has ever occurred”. Have John Stuart Mill, John Locke, John of Salisbury and for that many other philosophers not called John been completely forgotten in the shady groves of Portugal Street? Far fetched nonsense. UKIP never exceeded 17% of the vote even at its height and Farage is regarded as a clown even by many people in UKIP. Wrong again. The UK will come begging to be allowed in again like a prodigal son coming back to father. And this time the proverbial middle finger will be shown to us. “Far fetched nonsense. UKIP never exceeded 17% of the vote even at its height and Farage is regarded as a clown even by many people in UKIP. “. When UKIP achieved 17% of the vote it did not have the benefit of 3 years of a Cameron government on a narrow majority in permanent civil war with its Brexiteers forced to do deals with Remainers in other parties to remain in power, which I think would have been the likely outcome if Cameron had tried to avoid Brexit after the referendum and succeeded. 17 million voters who feel betrayed would be a very powerful force in politics indeed. People generally regarded as clowns can do fairly well in politics, as the residence of a certain gentleman in the White House should remind us. Don’t assume “it can’t happen here”. “Wrong again. The UK will come begging to be allowed in again like a prodigal son coming back to father. ” We are not so far apart on this. I imagine history repeating itself. The UK did not get a middle finger in the 1960s, but it got a “Non”. However I don’t think a penitent UK would be kept out for ever. As a Remain campaigner fighting in the #StopBrexit camp over the past two years, I have to admit to fatigue. Article by Rafael Behr https://www.theguardian.com/commentisfree/2018/sep/11/remainers-voters-brexiters hiighlights the problem we encounter on the street – most people are not that interested in politics, irrespective of their vote in #EURef. Making the point and winning hearts and minds is a slow and tedious process. A lot of the time – particularly on SM – is taken up arguing with those who can never be converted. I can indeed see the author’s point; we get the #PeoplesVote and we win – but it’s not over and the only way to prove the point – let it all happen. I’m not ready to do that – going to Mogg and saying “OK, Satan – I’m here, ready to serve your evil cause” really sticks in my throat. But it’s tempting. Like most emotional rants against Brexit, the author skirts over the 17.4 million votes (the majority) that voted to leave the EU. The ‘cult’ has a sizable following that needs to be accounted for whether you agree with them or not – it’s as if the electorate doesn’t exist except as dupes of ‘cultists’. It’s an attitude that justifies populism as a response. The argument that if Brexit does not happen then UKIP will revive and the ‘cult’ will grow seems to be a way of saying either that the public are stupid and won’t learn their lesson that the EU is unassailable, or that in fact the elite have no confidence in their capacity to make a positive case for the EU in the future and defeat the ‘cult’ democratically. Neither assumption offers much for Remain campaigners (who of course are absolutely not a cult). With zero faith in democracy or the power of their own arguments, where do you go? Misanthropy, with an emphasis on the old, it seems. I think many of the 17.4 million could be appeased by a semi-Brexit where we stay in the EEA and customs union. Most polls certainly indicate this. Look at it another way – 37% of a deliberately restricted electorate voted to leave. The Government is ignoring the other 63%. Is that democracy? I don’t think so. It’s incredible the machinations the Remoaners will get up to in order to overturn democracy. What’s most objectionable of all is their call for a “People’s Vote”. I detest this phrase. I detest the flimsy transparent subterfuge they stoop to whereby they try to fool everyone into thinking that what took place on 23 June 2016 wasn’t a People’s Vote. The 23rd June 2016 referendum drew one of the highest turnouts ever in a UK plebiscite. What’s more, every single vote in the referendum counted, which, in a certain sense, is not the case in a general election. The 2016 referendum was truly a People’s Vote. What’s more, Theresa May seems to want to respect the will of the people, which is not the case in France where the people’s rejection of the European Constitution in 2005 was just ignored. Your arithmetic is as good as your assessment of democracy. Arithmetic first. Your calculation is upside down. Leavers: 17,410,742. Electorate: 46,500.001. Percentage: 17,410,742/46,500.001=37.4%. Your personal beliefs about what democracy is are even more mistaken. Fortunately, your personal beliefs do not define democracy and there are other definitions which are widely shared as superior to the simple majority practised so widely in the UK. By way of example, the implementation of the EU referendum on a majority of 37% of the electorate is anything but democratic. The preferences of 34.7% of the electorate are being ignored and ridiculed. By definition, democracy is inclusive of those who disagree and agree, and of those who don’t vote or don’t know. If the preferences of those who did not vote were the same as those who did, 48.1% of the 27.8% who did not vote would have voted remain. In that case, 48.1% of the electorate would have preferred to remain in the EU. This is still a minority but by an absurdly small margin on an issue which is turning world order upside down, and seriously threatening the future welfare of the British people. It is an utterly irresponsible misuse of any democratic principle. The British people do not define democracy. However, for their own purposes only they are entitled to define a version of it. In the case of the EU referendum, their use of simple majority to leave the EU adversely affects millions of people beyond the borders of the UK alone. To do so is arrogantly abusive, selfish, and morally reprehensible. So much is this so that in the EU voting is founded on three truly democratic principles depending on the issue in question: consensus; unanimity; qualified majority; and, in some exceptional case of secondary importance, simple majority. FPTP has some practical advantages but they have nothing to do with democracy. This is an excellent opinion piece. The “elephant in the room” with the whole Brexit process is, as you rightly point out, the phenomenon of “English exceptionalism”. This is the belief that England is a superior nation, and no matter what else it does it will inevitably emerge victorious over other “inferior” nations. Yet, since about 1900, if one reads one’s history properly, one can see that England, after creating the largest Empire the world has ever seen, has been on a steadily downward course. If you read Kipling carefully, he was not praising England, but pointing out that it had vastly over-extended itself, and could only go one way, namely down. England was shattered by the First World War, and was militarily so weak that it could not prevent a mass of right-wing dictators emerge in mainland Europe, and independence movements throughout the British Empire, especially the “jewels” of Ireland and India. Internationally, the rising power of the US after the First World War enabled the myth of “White Anglo-Saxon” superiority to act as a replacement for the now bust myth of English superiority. Then came the Second World War, which finished off English superiority for good. There was now no way to stop the whole of the British Empire descend into a mass of independence movements. The UK became a subservient ally of the US, maintaining the illusion of power while obediently doing whatever the US requested. The internal cohesion of the UK itself became so poor, that devolution had to be reluctantly given by “super nation” England to Scotland, Wales and Northern Ireland. I have gone on a bit here, but I cannot obviously better Conor’s analysis of the current situation. I am just trying to fill in some of the historical background, as seen by a non English person. I think it is important to correct a few points you made in your comment @Friedrich. England did not create the largest empire the world has ever seen, nor is Brexit a result of “English exceptionalism” (whatever that infers). Great Britain did however have the largest empire the world has ever seen. In terms of geography and population it peaked around 1919. Just shortly after the end of the first world war. More importantly, Great Britain and its empire, along with Russia and the United States played a significant role in defeating the Nazis and the Japanese empire. Britain deliberately entered and escalated both world wars in order to eliminate a potential rival – Germany. The same policy was adopted against Napoleon in the previous century. British foreign policy has always been governed by self-interest and greed. The Boer War, conveniently forgotten by establishment historians, is an example of a direct act of aggression masqueraded as some kind of ‘just war’. British governments have always been very skilled at the propaganda aspect of foreign policy. Gracchus, could you please tell us which country’s foreign policy is not governed by self-interest? So basically your argument is that because the UK suffered two horrendous economic catastrophes at the hands of German aggression, then we should remain in the EU. Not the most persuasive argument that I have heard. In one sense English exceptionalism is an established fact. According to Eurostat, in the EU28 in 2012, English was still the most commonly studied foreign language at lower secondary level, with 97.1% of pupils learning it, far ahead of French (34.1%), German (22.1%) and Spanish (12.2%). This has important implications for free movement. Of course we would all like to see free movement if it is balanced but the preponderance of English in the EU creates an unbalanced flow of population which is unsustainable for the UK. In WW1 there was never any German aggression against Britain – we could and should have stayed out. Britain took part in order play the ‘big power’ and satisfy a lot of egos. The Nazi aggression of WW2 was, at least initially, nothing more than an effort to right the wrongs of the dire Treaty of Versailles and Britain did her best to escalate the situation and bring about a war in 1939 over a trivial issue such as Danzig. Does the “brilliant Peter Hitchens” maintain that the Nazi invasions of Austria, Czechoslovakia, Poland and (as you say) what was then called Danzig, had nothing to do with the “Lebensraum” ambitions which were expressly uttered by various Nazis including of course Hitler himself before 1939? There are various quotations in German in Wikipedia:https://de.wikipedia.org/wiki/Lebensraum_im_Osten . Does he also maintain that, if that nasty Mr Chamberlain hadn’t interfered, the Nazis would never have come up with the Generalplan Ost? (you can Wikipedia that yourself). For those of us who don’t feel impelled to go right to Amazon and invest in this work, can you provide us with some of his arguments, or endorsements for these positions from reputable historians? A very astute point exemplified particularly in the way David Cameron called the referendum. He should have insisted that as we are a United Kingdom all the constituent parts must post majorities for an abandonment of the current situation. The Border will be on the sea with a fig leaf non-binding EU political declaration of good intention on trade. The alternative is the loss of 756 agreements that allow it to function i.e cardiac arrest…unsustainable and so bravado. The analysis is excellent, pompous superiority of the special child holding its nose at chaotic Johnny Foreigner from behind the safe refuge of the White Cliffs is the visceral feeling behind this nonsense and perhaps the cold turkey required to cure the ‘scepter’d isle’ of such conceited myths would be crash out to 3rd country Burundi status. Won’t happen though…the choice is Ni gets special status or the UK gets aforesaid Burundi status…Sorry Arlene. I disagree strongly with much of what is said. The experts and opinions of the gloomsters is that we are on a cliff edge. How do they know? How do I know? How does anyone know? The experts have been wrong countless times, that is r peers on both sides of the fence. We are only on the cliff edge if we work apart. So far it’s been apart. The biggest failure in life is the failure to try. Let’s try to survive without the dictatorship who have taken away our freedom of speech. Let’s try to survive past the leaders that we cannot dismiss if the populous feel they are wrong. It’s downright offensive suggesting that brexiteers sre committing political suicide. Quite the contrary, those politicians who support getting out are carrying out the will of the majority. They have no choice, else democracy will be destroyed. Those politicians who treat the great unwashed in such contempt are the ones causing the issues. Politricks to stop the will of the electorate. I’m a managiing director of a successful company don’t treat us like buffoons, we will live with the consequences of our decision and the ruling class must live with our choices. Oh please our lord and masters do forgive us!!! You may not think you are a ‘cult’ member but the preceding sentence says otherwise. Basically, Remainers in general and the Treasury in particular predicted immediate and dire economic consequences from a Brexit vote but that didn’t happen. The predicted half million increase in unemployment didn’t materialise. This is the only evidence that we have to date against which we can calibrate the current Remain hysteria. You don’t have to be a cult Brexiteer to be sceptical of notion that we will fall off a cliff on March 29th. We didn’t fall off a cliff in 18 months ago and we won’t fall of a cliff in 6 months time. I had to read through this diatribe twice before I could ‘hang my hat’ onto something resembling rationality. I feel truly despondent for those poor students who; hungry for knowledge are fed by ‘so called’ intellectuals from the LSE with their vision of Armageddon passing as expert opinion regarding the future economic and political well-being of the UK post Brexit and their thoughts of those, like me, who decided the UK had a better future outside of the EU. Clearly, this fellow thinks he may be preaching to the converted, how I strayed so far into this dismal and dark place, heaven only knows. Perhaps I was using one of LSEs own economic financial forecasting models to plot a course through these uncharted (for me) waters that lead me astray. No wonder so many feel lost. Perhaps this fellow should venture out into the real World where real people with backbones live, the World that exists outside of the London bubble, to gain a more balanced perspective of Brexit. It may ‘stiffen the sinews’ and perhaps it may even calm his ‘remainer emotions’ a little. For my part I didn’t realise I was a death cultist, although I was once a member of the boy scouts, but I don’t think that counts. I’m so eternally grateful I can now recant as he clearly believes others have, so I can now see the error of my ways. However, I would ask this learned fellow, before I recant, as to whether there exists any evidence of this recanting from other members of the death cult? Then this learned fellow (Professor of Human Rights Law) thinks it a great idea to subvert democracy. I’m supposing he’s doing it out of care and sympathy for the poor uneducated proles, those who have ‘terribly erred’; how altruistic, how public spirited to save us from ourselves and our ‘collective annihilation’. This fellow deserves our complete and utter admiration and respect for this heroic selfless act. Should his wishes of reversing Brexit become true, maybe the ‘debilitating chaos’ he claims with leaving the EU may just be a walk in the park when compared to remaining? Might I suggest Lincoln’s Inn Park for that walk? We are then treated to the old chestnut of our ‘faded post-colonial powers’ (yawn) and the prospect of our ‘imperial delusions being smashed’. Please, give me a break, only those caught up in some sort of socialist mind think believes others are still living in THAT past. And what, may I ask the professor, loyalty do we owe the EU? We’ve paid our way, more so than many other of the members of the EU. In closing, and although I do not possess a crystal ball, seemingly unlike you professor, I will grant you one thing about the future; when we death cultists die out as you suggest, future generations may just decide to attempt re-joining the EU. Let’s all hope for the sakes of our future generations that it has been reformed into a truly uncorrupted, efficient and democratic organisation of partners all willing to work together for the future wellbeing of all the peoples of Europe, and not as it partly appears to us death cultists today as serving the self-interested and to those who seek the rewards the EU offers to supporters and vested interests by filling their ‘wallets’ and furthering their careers. I will now post this fellows ‘diatribe’ onto a UKIP website for further comment. You’re right David, it’s a diatribe and it only reinforces the perception that many of the leading figures of the Remain camp are arrogant and elitist. However, I think that these high-profile Remoaners make a fundamental mistake. They conflate Remainers with Remoaners. They overlook the fact that the silent majority of those who voted Remain are decent democratically-minded people who are maturely able to accept the majority decision and who simply wish just to move on. Better that we should have negoiators who follow and guide the will of the majority. My view is that Mrs. May is acquiesing to the wishes of the Eu and is afraid of the future outside of the EU. Her agreeing to obey EU regulations without ability to disagree will leave the UK into a very difficult future. She has too much power over Brexit. The situation should have been referred to something akin to a War Cabinet of experienced persons. Unfortunately not many of our polititions have knowledge of hard decision making for the benefit of others. Inviting catastrophe is not the answer in my view – the pain would be inflicted disproportionately on the young and the poor. I could never agree to such wanton cruelty. Brexit was voted on by 17.4 million discontents, a motley mix of oddballs and opposites, from imperial nationalists to neo-fascist racists, from libertarian capitalists to hard-left Marxist-Leninists. This was the secret of the leavers’ success: uniting the protest vote across the political spectrum against the common enemy, the EU, leaving the ‘sensible’ centrists to back EU membershship. To surrender 45 years of EU membership to a single protest vote makes a mockery of democracy. The only way forward is a second referendum – a three way vote followed by a run-off vote, to decide on a ‘hard’ Brexit, a ‘soft’ one or no Brexit at all. Better to face the anger and bitterness of a Brexiteer defeat than ruin the country and inflict pain on those who already face a challenging future as it is. What a childish argument. You need to accept that you are in the big boy’s and girl’s world now and you won’t always get your way however much you chant “It’s not fair mummy!”. Your response is childish – what exactly is your point, other than trolling? Not garbage, but truth. There is and never has been a political movement for Brexit outside of the small UKIP party. Leave won largely because they managed to combine protest votes from various different and often opposing areas of political opinion. But to respond to your point that. I should point out that we have been in the EU for 45 years only because we were denied a referendum in 1992 at the time of the Maastricht Treaty. There was a majority against the Treaty in Parliament and it only got voted through when Major made it a vote of no confidence. Given this previous deficit of democracy, the status quo has very little claim to legitimacy and it is only right that it can be overturned on a single majority vote. The great British public in its wisdom voted overwhelmingly for the principle of a first-past-the-post system of democracy in a previous referendum. Can I ask, were you opposed to the idea of a referendum prior to the vote (I was) or is your idea of democracy that the outcome should be respected if it aligns with your views but not otherwise? What if there is a second referendum and Remain win? Would you expect the Brexiteers to respect the outcome? Why should they when the Remainers didn’t respect the outcome of the first vote? Once people start defining democracy according to their own individual preferences then we are travelling down a very slippery slope. Since when is the government obliged to offer a referendum on any policy? In the British constitutional tradition (I say ‘tradition’ as we don’t have a written constitution) there is NO requirement for ANY referendum in ANY aspect of government policy. We went to war in 1914 and 1939 without any referendums, and these have been by far the most critical government decisions in the last 120 years! The government decided to call a referendum in 2016 because the then PM, David Cameron, unlike John Major, was unwilling to take on the internal opposition within his own party. This unnecessary and disastrous decision has landed us in the current mess. Why am I calling for a second referendum? Simply because the issue has not been clearly resolved by the first one. I do not consider a 51.9% majority as ‘decisive’ when dealing with a fundamental issue such as EU membership. In most countries constitutional change cannot be enacted without a 2/3 majority in parliament followed by a referendum, or a simple majority in parliament followed by a 2/3 majority in a referendum. In 2016 and even now the leaving of the EU by Britain would clearly fail these tests. Your reply is contradictory. The Maastricht Treaty was a major constitutional change which didn’t achieve either a 2/3 majority in Parliament or a 2/3 majority in a referendum. But you are happy with that situation. Technically, of course, you are wrong to say that we have been in the EU for 45 years. Prior to the Maastricht Treaty, we were in the Common Market. We joined the EU in 1992 without any vote, so our decision to join the EU did not meet your democratic criteria. At least we have used some democratic process to leave even if it didn’t meet the exacting requirements which you wish to apply selectively when it suits your convenience. The Maastricht Treaty could have been voted on if the British Constitution required this, but it didn’t. The government was not obliged to call a referendum, unlike some other countries. However, once this was approved by parliament it became the status-quo and changing the status-quo by a simple referendum, especially when the majority of parliament favoured continued EU membership is clearly not satisfactory. Also, the 2016 referendum was about leaving the EU, not the single market and/or customs union, so the government’s interpretation of the vote as being a ‘hard’ Brexit is highly contentious. If you are happy with the original common market arrangement then membership of the EEA/Single Market is precisely what it will give you. What’s wrong with a second referendum to check public opinion on this? The bottom line is that once we leave the EU, you would not wish that we could only rejoin on the basis of a 2/3 majority even, if by, then it was the new status quo. You would rightly believe that if we left on the basis of a simple majority then we could rejoin on the basis of a simple majority (but subject to the agreed ‘once in a generation’ criterion). Likewise I am happy that a simple majority is adequate to leave the EU given the process by which we reached our present position. In neither case should ‘status quo’ be a consideration. Are you really happy with simple majorities to decide such matters? To me this would simply enable ‘revolving door’ decisions where you go in and out on a whim. I don’t accept this. Major decisions require major support, and a simple majority is not sufficient. Anyway, my belief is that parliament should make the initial decision, and then a referendum should act as the confirmation, NOT the other way round. We live in a parliamentary democracy, not a direct democracy. Subject to that, I am happy with simple majority voting. If you think that once we leave then we would shouldn’t rejoin without a 2/3 majority, then that is your view. We may live in a Parliamentary democracy but in the 2015 elections over 98% of the MPs that were elected stood on a manifesto commitment to remain in the EU even though, as we now, know the country was roughly split on the issue. Those MPs though did make a decision to hold a referendum, that is something I disagreed with but so be it. My preference would have been to stay in the EU on a conditional rolling basis unless and until there was a clear majority to leave. I didn’t actually vote to leave, I voted against the absurd alternative that we should unconditionally remain in the EU for ‘a generation’ irrespective of whatever happened. Tee jay is absolutely right and in the Nail. Trchnicslly had we refused the EY option in 1992 we would be a member of the common market with few trade that goes with that. What could our “friends” in Europe do about that? So our U.K. leaders were wrong in my view taking us in in the first place surrendering to eu pressures. Giving jobs to few elite Mep’s who have riden the gravy boat since that fateful day. What’s wrong about another vote? If the great unwashed got it wrong last time how could we get it right this time? There is nothing simple about withdrawal, there can be nothing simple about the choices of a vote on the exit deal. The answer from Europe would be **** off. That should be clear off!!! Gracchus, there has already been a second vote ( the Lib Dem platform) the answer was clear a devastated party. Let’s get out and then get on. You elect a government and trust them to make decisions on your behalf – this is called parliamentary democracy. If we were to have referendums on everything that people are unhappy about we would not have a functioning government. Problem with trying to reply without ones glasses. If you insult the leave voters then expect the response you received from teejay. I may not be on your intellectual level, but I can think for myself. Many people have many reasons for using their democratic and hard earned vote. Can you not accept that? I have voted conservative most times in my years, sometime labour got in, ( Micheal foot) I was disappointed but accepted that as democracy speaking. I had a chance to vote again a few years later after the disasterous summer of discontent. Neither you not I have any say in who is leader of EU. Why are you happy to sacrifice democracy in favour of trade agreements? foundations of our much treasured democracy. that we should encourage and work together to achieve. Why are we fighting, this is the real madness!!!! They are all over us, they want uk business, France is in full blown panicked at the no deal option. Germany in the form of Audi, VW, BMW, Merc and porch etc etc are terrified. of no deal, who pulls all the EU strings??? A deal will be done because they need it more than we do. The shame is that a weak government is negotiating whilst politricks ar going on! The Eu is just playing the game of preserving their dictatorship and are afraid it’s going to collapse. Who the hell do they think they are!!! Let’s get out before they decide to punish us any more than they are now!!! The Conservative Party is its own problem.Same with the Labour Party. At the moment they are also the countries problem. These apparently clever people need to join their thoughts into a Brexit (war) Cabinet that together fights for the best deal.The best deal would mean the UK arranges before and after March 2019 agreed quality/ standards etc,etc with the EU. I cannot believe the EU has the same fixed standards with the rest of the World. The EU is two faced when it comes to negotiations with more than two voices speaking as if as one,but saying nothing of certainty. Clever people are playing poker with peoples lives whilst they are able to walk away and drift into history, happy in the knowledge they have means to survive losing the game. What Brexiteers should clearly understand is that this whole thing has been initiated by Britain. It’s Britain that has indicated it wants to leave the EU, it isn’t being expelled. The arrogance of Brexiteers is breathtaking – why should the EU offer us ANY kind of deal? The fact that they have offered a variety of different options means that they DO want negotiations to succeed, but the UK government’s ‘have cake and eat it’ mentality does not go down well. There can be no cherry picking. The only way to keep the same standards is to remain in the Single Market – so the ball is very much in the UK government’s court. I stated what my opinion of the leave voters is – it’s not an insult but the truth. I regard the leave vote as a fundamental vote of protest directed at the establishment, and as such it came from a motley group of people – indeed a mix of oddballs (e.g. far-Right, racists, anarchists, communists) and opposites (far-Left, far-Right and a middle group of extreme libertarians). Given the degree of stereotyping that you have exhibited here, you have no moral authority to accuse other people of being racists. Frankly, I couldn’t care less about what you think. Brexiteers are invariably an obtuse and stubborn bunch, and exhibit a high degree of fanaticism. When you have to resort to insulting people to win your arguement you clearly loose your argument as well as respect. We are leaving, sadly the saboteurs in attempting to reverse cannot see that Europe are watching. Our so call friends jumping onto that galloping horse to give us a bad deal. But the academically superior remoaners will blame the Brexiters. That is just pure stupidity. As has been said by David Davis why shoot yourself in the foot just to prove you have a gun? Why do you expect those of us who do not want to leave to suddenly agree with Brexiteers? We don’t and won’t. And your usage of words like ‘saboteurs’ exposes you as a fanatic. It’s the Brexiteers who have been sabotaging the EU for years, and following their ill-gotten triumph in 2016 are still doing everything they can to undermine the EU as an organisation. I voted for Brexit and have been following your comments. How bizarre to be accused of being stubborn. When all I want is the majority vote to leave to be carried out. I will stubbornly defend my right to have a “meaningful vote” or is that right confined to stubborn parliamentarians who are just playing politricks? Or remoaners who cannot accept the fact that others may have differing views. As Teejsy said he voted remaim but accepts the vote. To remain all remoaners would be fighting in reverse telling us we have sour grapes. Instead every follower of remain appears to have a crystal ball. Or believe what experts say! How can anyone be an expert on something that has never happened before??? I didn’t say I voted Remain. I was happy to remain in the EU on a rolling conditional basis, with the option of bailing out if opinion shifted decisively or if circumstances changed. However, I was put in the position where I had to choose between two options. My vote was AGAINST option 2 rather a vote IN FAVOUR of Option 1. You are right Teejay, and the man who put you in this dilemma was Jean-Claude Juncker. If Juncker had listened to David Cameron more seriously, Brexit would never have happened. Juncker was unable to disassociate his “vision” of the four freedoms of movement of trade with the hard practical reality that too many people from 26 of the countries of the EU were all wanting to move to 1 country of the EU. He was unable to grasp how problematic and disproportionate this was. If he had simply made this one concession, then the Remain camp would have won the referendum with “les doigts dans le nez”, as the French say. But he didn’t, and now he only has himself to blame. How dare Juncker not accommodate the whining of a country that for too long felt special for no reason whatsoever? Cameron already had all the instruments to limit immigration, but not him nor you idiots still get it. But I have run a multimillion pound company for a number of years successfully built up from nothing. Generating many millions every year for the country and employing hundreds of hard working people. But I am much wiser than you. I know your wrong but I’m prepared to listen and see your points. Sadly all you do is resort to insults at those who dare to disagree with you. The U.K. will flourish and I’m going to Portugal to play my little part in dealing with factories out there. I know they want our business/money they are desperate for it. But if it turns out they don’t want it, I’ll spend it elsewhere. That multiplied billions of times will put europe in trouble not us. Your stubbornness lies in your inability to compromise. A 52/48 vote spit lends itself to a compromise, but Brexiteers do not know the meaning of the word. It’s the Brexiteers who have been sabotaging the EU for years, and following their ill-gotten triumph in 2016 are still doing everything they can to undermine the EU as an organisation. Rubbish and clear sour grapes! I would be interested in what experience you have of dealing with them. Here we go on my experience. He admits he is over paid for doing little and the vast majority are on the gravy boat? I am told by him that “if you think the corruption in U.K. parliament was bad”, wait until the truth comes out over Europe” who’s accounts have not been signed off for many years!!!!! That is others stories and nothing more than that and could be false, but I doubt it. Europe rightly has made cartels illegal. Buzzar given that the EU is a cartel operating trading restriction to the rest of the world! I’m in retail. I was asked by the institute of directors locally to speak about the changing face of retail. And to explain what that article was about. I was called by a solicitor who told me that if I talk about that that he and all his clients will walk out of the meeting because, just to talk about it is illegal and all businessmen present could be fined 10% of global turnover. I put it to him that that is a breach of my right to free speech. He agreed but it’s EU law. Since when did we surrender our rights? I have no reason to doubt what you said about article 101(3). As a Brexiteer ( I do listen to both sides) I agree with your sentiments Why did we allow ourselves to follow all these regulations for so long? Perhaps the EU made the wording so complicated that it was difficult to conclude the true meaning of the directives and the UK followed blindly, including most Remainers. Not sure what you are trying to demonstrate. So you know an executive in the EU who is overpaid for doing very little – I know plenty of people like that in UK companies. They spend 90% of the time in meetings and delegate most of their responsibilities. Nothing unusual there. Your other comments are just moans. We were the majority, which is why you loose! Your comments are clearly intended to wind us up. I’m tempted to use the expletives you have used, but that would bring me down to your level. I know!!! You don’t care!!!! Your hysterical response speaks for itself. 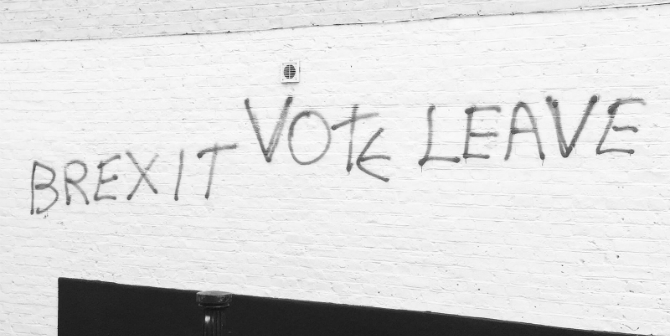 You are NOT the majority – in the snapshot of public opinion that was the 2016 referendum a slight majority voted in favour of leaving, but opinion flexes up and down all the time. In order to properly call yourself the majority you need to demonstrate that you have solid, enduring and consistent support for your views, and 51.9% of the vote taken over two years ago just doesn’t cut it. By what you say we need not recognise the government in mid term. It’s commonplace that popularity of governments Wain in midterm. The vote was on the day. This time two years from now it may be the case that outside we.are booming. I don’t know, you don’t know. The biggest failure in life is the failure to try!! It is certainly true that to call an election and miss read the mood of public is a huge mistake. Ask Theresa May about the snap election. Ask Cameron about suggesting that if he didn’t come back with a deal he would recommend out!!! The public are not so stupid as you say. I have just been reading about EU accounts. They have been signed off with huge question marks. How many companies would get away without publishing accounts? It’s certainly true that both Cameron and May misread the mood of the nation, but in politics decisions are not always made on common sense, decisions are primarily made on the basis of political necessity. You are right to be concerned about financial probity within the EU, but like so many issues relating to the EU this is an area where British influence and interest would help to rectify the issues. Britain’s leaving of the EU will remove our influence of the EU, and this is by far my biggest concern. We will not be able to shrug our shoulders and say ‘none of my concern’ once we leave the EU because EU decisions will still affect us. There there’s a lot we agree about. The problem with remain is they believe in experts, there’s always an expert about everything. It can only therefore be opinion. And we are all entitled to opinion. And to form our own opinion. Sad will be the day we are not allowed. That’s why we clash so much, be are influenced by opinion. “Every expert was once a beginner” Helen Hayes 1900 to 1933. So how much of a beginner are Brexit experts? Nonsense. Even if something hasn’t happened before, someone who has spent years doing diplomacy and trade deals will know more than someone like you. His opinion carries more weight than yours. One does not equal one outside mathematics. The Putineers outraged by the wise words of Prof Gearty keep proving him right. The sheer idiocy of brexit supporters about opinions being equal to expertise betrays the arrogance that only the ignorant and the illiterate have. I suggest you read the Treasury document predicting the short term outcome of a vote to Leave. The Treasury have now disowned this forecast on the basis that they made the wrong assumptions, which rather begs the question as to why they think they are experts. In fact they do consider some alternative assumptions in their report but all of those lead them to predict an even worse outcome. Basically, they acted unprofessionally by failing to undertake a proper sensitivity analysis of their work and they compounded that error by not properly caveting their conclusions. I hold a PhD in statistics and I have carefully monitored the quantitative predictions for Brexit and the run up period. What I see is so-called experts who are acting unprofessionally in order to push their own political preferences. You conveniently forget to omit that the most important premise the forecast was made on didn’t happen: the UK didn’t immediately trigger Article 50, took like, around a year to do that. Which is why the treasury report wasn’t correct. More importantly, instead of focusing on one sentence, you’d read the entire document, mr “PhD in statistics” (hint: the University of Life doesn’t award serious PhDs). Also, besides that paragraph which you are deliberately misinterpreting, the rest of the report is spot on: immediate shock after the vote? sure, just look at the £. Lower credit rating? check. Reduced GDP growth? check (almost half of what Osborne predicted, and since Osborne predicted it for 2 years, we’re still in time to see that), inflation and exchange rate? check. Addendum: rich that you talk down “experts” while the only one supporting your case, Minford, is a digraced buffon who admitted the only way to make brexit work at 1% is to wipe out UK industry. Why don’t you read the report? If you did you would realise that the reason I selected certain sentences was that the authors decided to print them in bold font to give them emphasis. (..and since you appear to be quantitatively challenged, I should point out that I focused on 2 sentences not 1). Whilst you are reading the report, pay particular attention to Table 2C where you can see the predictions for GDP for 2016 Q3 to 20-18 Q2 under a Leave vote. They bear absolutely no relation to what happened. Of course what actually happened isn’t as good as they predicted for a Remain scenario, but those forecasts are meaningless since they come from the same model that gave hopelessly wrong predictions for the Leave scenario. The Treasury also predicted a fall in house prices of between 10% and 18% and a rise in unemployment of between 520,000 and 820,000. They correctly predicted a fall in the value in the value of the pound but crucially they incorrectly judged its effect on GDP. Previously when the UK left the ERM, the pound had fallen significantly and it was generally agreed that this had given a positive impetus to GDP. Why didn’t the Treasury know that? Personally, I don’t believe that the Treasury would have given good predictions had they known in advanced that Article 50 would have been delayed by a year. I can’t see any mechanism whereby this could lead to the huge discrepancy between the predictions and the actual outcome. Markets and business are forward looking and they knew that Article 50 would happen sooner or later. Let us suppose for a moment that the Treasury could have given correct predictions had thy considered the possibility that Article 50 would be delayed. So why didn’t they do that? It is standard practice to test a forecasting model by running it under various different plausible assumptions. This was an important study intended to inform voters ahead of the referendum. Why did they choose to only study two scenarios which they label as ‘Shock’ and ‘Severe Shock’? I read the entire report, you qualitatively challenged cretin. Half of it is in bold. Choosing to select only two sentences to somehow say it’s invalid is intellectually dishonest – nothing new for Quisling traitorous Putineers anyway. I am not responsible for the incompetence of the Conservative Party at predictions – that responsibility is of the idiots who keep voting them in power. However, Osborne was tight in his predictions: he got the values slightly off because of both the delay in article 50 and the extremely high skill of Mark Carney, who so far has absolutely outdone himself with the Bank of England, clearly you idiots you want him out and don’t deserve him. Appoint Fuhrage the snake oil merchant to the BoE and watch it fail in a month. Come on, do it. This report points scorn upon the Westminster remain machine. We have always know that all politicians lie, you can tell easily. There mouth opens!!!!! Open your eyes! Make a judgement stop trying to stop it by stealth. It’s going to happen, the degree of success will be dictated by how much we argue. If you have read the report and understood it, then you have no basis to say that I am quoting selectively. The sentences which I quoted from the executive summary are very representative of the conclusions of the report and the report itself. If you are suggesting otherwise, then it is you who are intellectually dishonest. I don’t understand why you still believe that Osborne was right in his predictions and that his values were only ‘slightly off the mark’. Table 2C predicts that subsequent to a Leave vote, GDP will decline by 2% over the period Q3 2016 to Q2 2018 under one set of assumptions (to be clear they were actually saying that GDP at the end of the period would be 98% of what it was at beginning) and otherwise the table says that GDP will rise by just 0.4% over the period. In actual fact GDP increased by 0.7% in Q4 2016 alone! I read the report which is why I believe Osborne got the facts right but the values off – because the report was built on the words of Cameron that article 50 would be triggered immediately. Then again, I don’t think any Quisling has the right to demand a crystal clear future forecast since one of your favourite arguments is “be bold in the unknown”. But again, Quislings always have double standards. The executive summary says a lot more than what you selectively quote. In fact, there are summaries for every part of the report which are far more important and useful for understanding. GDP decreased in the past year since the vote. End of. Now it’s not only GDP that matters, but all the accessory stupidity that is Brexit and consequences that have yet to be discovered. How any of you still supports this debacle is beyond me. Why are you here complaining anyway? Or are you afraid that Gearty will be right, and that you all will be exposed as traitorous frauds once Brexit is done for having harmed the country just because of your petty xenophobia? I previously suggested that you were quantitatively challenged with my tongue in my cheek ,but if you believe that GDP has declined when in fact it has increased much in line with previous years, then we have no further basis for discussion. 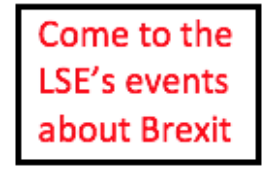 Can I refer you to another lse blog by two ladies who appear to hold a fairly neutral and balanced view of Brexit. The authors of this article state that data from the Office of National Statistics shows minimal changes in key indicators of UK growth in the 2016-2017 period. Tongue in your cheek, yeah sure. A forked tongue. Minimal changes? Downwards. Osborne predicted a 3.6 decrease in two years. Compared to 2016, 2017 was down around 1.5%. That’s not far off – and this year doesn’t promise to be better. I’ll have a read of that, but FYI minimal doesn’t mean non-existent, especially at such high values. Again, why so concerned? Surely if Brexit is so good you can stop infesting contrary pages. As Gearty says, it’s your turn your magical thinking will fix all. It seems to me that every time a person starts to loose the argument there is a resort to insulting those who dare to disagree. It’s going to happen, we’re Leaving the EU. That is the way the vote went. You want us to stay, the majority wanted to go, end of argument, no more of this creative accounting that is designed to turn people against each other. No more 2 and two make five. Let’s have another vote on the final deal. And if rejected another vote on the final final deal etc etc. Let’s drag it out for another few years and blame the Brexiters for being stupid. Don’t you think Europe are watching the divide in the U.K.? Don’t you think they will use our disagreements against us? They have so far! They need to protect their gravy boat and their dictatorship, power to punish Hungary. There is every chance that a hard Brexit will occur if we stay divided.and wash our dirty linen etc! Pull as one and there is every chance that we will get a great deal. If this nonsense continues everyone will get hurt. It’s difficult sometimes to accept change, but accept it I have when we were taken into the Eu without a vote. We have now had a vote, exiteers won. But remoaners want another because we’re stupid, cultists, they didn’t know that it would come to this. The country is doing much better than the rest of Europe. There is queue of countries wanting our money if Europe don’t want it. After March 19 we won’t need to ask permission of our unelected masters to trade with the rest of the world at rates we set, not them! The currency is artificially being held down. Low interest always achieves low value. It’s a trading fact. Nothing to do with the vote whatsoever! Every time the pound rises bank of E put out bad news followed by Whitehall bad economy news. It’s good for jobs to hold the pound down, good for exports. And go achieve that result you had to whine for 40 years, break the law and undermine democracy, and lie like mad. So Don t talk to me about “respecting the vote” because you lot didn’t. But did keep asking for a second vote. And now you want to shut down debate after you got your result. Shut up. Democracy doesn’t end when you get your result. The country is doing so well and yet poverty is on the rise and the collapse of the £ has undermined everything. Nothing to do with the vote! Keep dreaming. The world doesn’t need the UK, and not world trade. Rule takers from rule makers. Embarassing. Brexit finally breaks the country and exposes you lot as pathetic traitor and whiners who blamed the EU for years for your stupidity. You are doing this even now. The “unelected” EU (hint: it’s elected) is far more democratic and transparent than Westminster. Their “gravy train” is actually a lot more efficient than the wasteful Westminter and Whitehall. And the EU isn’t punishing the UK, you traitors did that already. So I for one will never stop opposing this stupidity, for the good of the country. The EU will thrive without the UK, but I won’t be on the wrong side of history when the UK breaks. The slight majority wanted to leave – and of course there are several definitions of what leave means. “They need to protect their gravy boat and their dictatorship, power to punish Hungary. Far fetched nonsense – they are not punishing anyone. If they wanted to punish us they would have cut off since the day after the referendum and immediately imposed full economic sanctions on us. Likewise with Hungary the Hungary government has been taking the pi** ever since 2010 and refusing to meet their obligations, so any censure against them is well overdue. “There is every chance that a hard Brexit will occur if we stay divided.and wash our dirty linen etc! Pull together? You mean surrender to the Brexiteers? Why? We are not interested in your vision of ‘Little Britain’, we are Europeans and proud of it and will oppose you every inch of the way. I guarantee you that. “We have now had a vote, exiteers won. But remoaners want another because we’re stupid, cultists, they didn’t know that it would come to this. We are not the moaners – you lot have been moaning non-stop ever since 1975 and especially so since 1992. How can you possibly expect not to be challenged? And we are not doing ‘much better’ than the rest of Europe. Better than Italy or Greece but certainly not better than Germany, Netherlands and others. As for the queue of countries, that seems to be Botswana, Swaziland and a few others so far. Not very impressive. It’s March 29th, not 19th. And the ‘unelected masters’ are simply officials who have been chosen by elected politicians from all member states, including the UK. Demagogic nonsense. Thanks for demonstrating the typically low IQ of the standard Brexiteer. Straight out of the Donald Trump handbook of political discourse. Pot calling kettle black? I would have thought you supported Trump and his populism. I wish more people would follow Chris Grey’s excellent blog on Brexit. He tells it exactly how it is – warts and all. Brexiteers are basically fanatics; their profound hatred of the European Union blinds them to any argument that points to the positive aspects of our relationship with Europe since 1973. They are, in so many ways, similar to the more extreme Ulster Protestant bigots who historically refused to allow the Catholic community any influence in Northern Irish affairs. Fanaticism entails pursuing a single goal regardless of the damage it may cause, and this is exactly what ‘Brexiteerism’, for want of a better term, is really all about. The EU referendum vote was not, and realistically could not, be a simple ‘in or out’ vote, like the Scottish Independence Referendum. This is because there are many variations of being in or out of the EU and much depends on what type of Brexit is chosen. Many leave voters would be satisfied with an EEA arrangement, possibly also with customs union membership – certainly enough to make the ‘hard’ Brexiteers a clear minority of the electorate in such a close vote. Failing to recognise and act on this fact is a clear denial of democracy. The government has chosen to support the ‘hard’ Brexit minority at the expense of those who at least want to maintain a close relationship with the EU, even if not full membership. There are political reasons for this, and government’s most significant fear is a revival of UKIP, a party that competes for the same audience as the Tories. The Tory working class, tabloid reading voter, for so long a bastion of Thatcherism, is the main supporter of ‘hard’ Brexit and the key demographic that is likely to switch to UKIP in case of government failure to deliver this type of Brexit. Theresa May has gambled everything on satisfying this type of voter above all others at the expense of making a decision that offers a fairer reflection of public opinion. This denial of democracy must be punished and a second referendum is the only solution to preventing the issue from poisoning British political life for decades to come. I’m afraid I don’t agree with you at all Gracchus. I don’t think that Brexiteers are all fanatics, far from it. I think that this largely silent majority were concerned that after 41 years of having no referendums on major European treaties they finally said “enough is enough”. When David Cameron was cajoled into offering them one, they seized the opportunity to send JC Juncker a much-needed reminder that his European project had metamorphosed into something which bore no resemblance to what we signed up for in 1973. Juncker must be furious that Theresa May is a thoroughly decent person who feels it her duty to deliver a democratically arrived at decision, even though she herself had campaigned against it. The youth of today often feel the need to rant. Be rude, and use language that belittles their cause. Thanks for calling me a ‘youth’. I’m 51 and work full time for a living, unlike the old farts who can spend all the effin’ day on the internet looking at forums on which to vent their spleen about Brexit. And don’t even try to lecture me about my parents – they are in their 80s but also voted remain and despise people like you. Utter rubbish! If you can remember 1973 then you’re old and most likely have a backward looking mentality. The world has changed a lot since 1973 and that includes this country and Europe. The ultimate aim of the EU has always been ‘ever closer union’ and if you didn’t believe that in 1973 then were pretty naive. In any case, we always had opt outs from ever closer union and this made it unnecessary even for people like you to vote leave. You have forced this country to commit an act of self-harm and you will face the consequences for this. Of course we didn,t, initially we the common people did not have the knowledge Then came the enlightment, hence theBrexit vote. We clearly were not looked after by successive Governments Even if we were, our leaders still had a duty to tell us that Great Britain was increasingly being drawn into a spiders web or even a Venus Fly Trap.Something they never vetoed or told the press about. Clearly we don’t have to recognise narrow wins, but play it again, run it again. Until the result you want is achieved. One day you will see. When you learn just how important self determination is. But there are none so blind as those who do not wish to see! FYI you do not have the right to vote out the EU president. He is appointed. The EU parliament simply rubber stamp the laws created by diplomats and presidents. They have no right to raise new laws. Ever closer union means less and less self determination, but the laws and rules will be created by the strongest nation, Germany!! Which is not what I said at all, you pathetic mug but hey, feel free to lie on whatever I write. After all you’re a Quisling. I am already aware of how important self determination is. But more important than that is the skill to make the right choices, you cretin. Btw the President of the EU Commission is appointed by the democratically elected Prime Ministers. And in the UK, you don’t vote for the PM either, so the EU is more democratic than the UK in that regard. Secondly, the EP has the power to approve of refuse the laws that the Commission does according to the instructions of the democratically elected Prime Ministers. So again, way more democratic than the UK. And citizens can petition the EP directly for laws, something the UK doesn’t allow. You’re half German? I’d say you’re a full idiot. Because in the EU, unlike the undemocratic UK, even the smallest has a voice and the power to veto. While in the farcical UK union, it’s England uber alles. Bulldozing Scotland, Ireland and Wales. And you dare to talk about self determination? A referendum is not the same as a general election, moreover the distortion of parliamentary representation in the UK is due to the fact that we don’t use a PR system, but that’s another argument altogether. To even mention football in this context is ridiculous. “One day you will see. When you learn just how important self determination is. Leaving the EU is not self-determination but self-harm. Britain, as one of the major players in the EU, had power and influence, but now all that will go. “YI you do not have the right to vote out the EU president. He is appointed. The EU President is nominated by the European Council and formally elected by the European Parliament, for a five-year term. He is not ‘appointed’. The European Parliament is democratically elected and has the power to block or revise legislation which is initiated by the European Commission. The European Parliament also elects the President of the Commission, and approves (or rejects) the appointment of the Commission as a whole. In no way is the European Parliament a ‘rubber stamp’. This statement is utterly absurd and ridiculous. Germany has proportional influence in the EU to every other member state. It happens to be the strongest economy but cannot dictate anything to other members – decisions are made by consensus by the majority of member states. Your post demonstrates utter stupidity, bigotry and ignorance, again all attributes amply displayed by Brexiteers!! A disturbing article, almost shocking from an “academic”. Whatever happened to reason and weighing all sides of a debate? If I worked at the LSE I would be ashamed of this article and most of the comments. The arrogance of this article is breathtaking. The arrogance of the other ‘academics’ prattling about thick Brexiteers similarly so. Cameron shouldn’t have had a referendum no , but we should have had one at Lisbon and Maastricht. The EU has taken British sovereignty by stealth. Remoaners are like kids in the playground , not mature enough to accept it when things don’t go their way. I would say though that if the politicos couldn’t deliver their referendum result they shouldn’t have held it. How can you blame people who voted leave for doing so when it was put by the PM as a viable option ,which ‘will be implemented’ . If Remain had won they would have just said ‘shut up you lost.’ Some people on here trumpet their ‘Europeanness’ they put it above their Britishness , well I say go and live there then you don’t deserve to live in this country and undermine it in its negotiations to exit EU ,sanctioned by referendum which was sanctioned by Parliament . In days gone by you would be tried for treason and executed. I’m referring you to the police for sedition and incitement to violence. BTW, undermining the country like you Putineer traitors are doing is treason by any other name. Domenic Not inciting any violence at all ,just pointing out that such unpatriotic sentiments would have been punished severely under the law of treason in the past since Parliament has passed the triggering of Article 50 and the withdrawal bill .Things are different now of course thankfully. We are all Europeans as well as British but many British citizens resent the overwheening EU and the arrogance of the Political elite in ignoring this resulted in the Leave vote. You have also impugned treachery earlier on the blog as you have in your latest reply. Cheering the way to self harm, that is unpatriotic and treasonous. Because treason is going against what a best for the country, that is staying in the EU. The psychopathology of Brexiteers doesn’t allow for rational analysis, it’s an obsession. Obsessive psychopaths refuse to compromise or seek middle ground for an agreement, for them the issue becomes a crusade, and crusaders cannot compromise as the issue they are fighting on takes on a religious significance. I’m not optimistic – the issue of the EU will not stop with us leaving the organisation. It could go on for many more decades, let alone years. One of the many reasons for vote leave in my view is the fact of ever closer union is not something that the majority in the U.K. desire. We were not given any say as a voter in Maastricht or Lisbon. I recall the outcry at the time that the common market was to change from a business relationship to a political relationship. Do you have an issue with the electorate having a say? France and Holland were given a vote and it was ignored and the political leaders manipulated to override their constitution. My meaningful vote is very important to me. I cannot have a meaningful vote on political leaders in EU. Currently you say that you are on a crusade to save the country from disaster and self harm. How much self harm is done by changing a political union to self determination? I don’t know the answer to these complicated issues but how you you know? There are no experts. You cannot be an expert on something that has never happened before. If and I say if we have made a mistake, then we will live with it. Adapt, change, even even eat humble pie. What I know is the electorate spoke and that must be respected full stop. Else there will be a much bigger issue!!! Really? If so, then it has take some sovereignty from EVERY EU MEMBER! Being a member of the EU does mean that some sovereignty has to be sacrificed – it goes with the territory. Otherwise what kind of union is it? And there is no constitutional obligation on any referendum in UK law. And in days gone by we would have had a jolly old civil war, just like in 1642. Your post is utter piffle. Many angry words are being spoken in the debate around Brexit. In the main,being British is a state of mind and soul with thoughts of being in control of oneself, accepting a majority verdict and trying to change things by discussing matters, We acquiesce on many things but when deceived and mislead come to mind the British psyche rebels and we rebel in the main gently. Brexit is an example of this. Leaving the EU is not difficult, just burdensome but with a majority backing at the time. The real problem is in previous agreements not foreseeing future events and allowing for this. I blame our past leaders and their ambitious thoughts not being revealed to us, a form of deception and lies unspoken. The British public now have the means to communicate information (true or false) quickly and it beholds our leaders to be more honest and open about their intentions. Maybe I am a dreamer……………………………………………but who is not? Not sure what you mean by ‘deceived’. The aim of the EC/EU has always been ‘ever closer union’, that has never been hidden and it was an objective ever since 1957 when the organisation was first established. Nevertheless, Britain was offered rebates, opt outs and other preferential treatment to preserve British interests and ensure that nothing was done to force Britain into an arrangement that she did not desire. Maastricht and Lisbon were necessary to progress the ‘ever closer union’ objective, but the UK was given opt outs from further integration. There was no deception. The whole issue of EU membership has been whipped up by extremists on the Tory right who have jumped on every little issue coming out of the EU and created an unnecessary crisis. The only focus has been on the costs of membership but not on the benefits. I understand that and I also point out that the UK was exempted from this. As I stated before there was no constitutional necessity or obligation to have referendums on these treaty. The UK government alone needed to make the decisions. “I recall the outcry at the time that the common market was to change from a business relationship to a political relationship. I remember the outcry, but it was a gross exaggeration of what was really going on. The political relationship was always there at the outset, the EC was never simply a pure trading club, and as I stated before, Britain was not forced into being part of a federal union. The treaties giving up sovereignty in a few areas, but no more. It was all blown out of proportion. I do have an issue with having pointless referendums, yes. Referendums should be used very sparingly in a parliamentary democracy. We have a parliament with elected representatives and it is for them to make political decisions under our constitution. Not true. The initial votes were respected and the treaty revised to take account of the concerns; the subsequent referendums approved the changes. I’ve already explained how the EU executive works. The European Parliament has to vote to approve the appointment of Juncker and others, who are themselves chosen by the Council of Ministers (elected politicians from the member states). “My meaningful vote is very important to me. You entrust this vote to your government. This is how it works at present and the system may be revised to allow individuals to vote directly for the President of the European Commission. Also, you ARE entitled to vote for the European Parliament, which has a right to approve the appointment of the President and other senior officials. “Currently you say that you are on a crusade to save the country from disaster and self harm. The UK’s leaving of the EU will undoubtedly damage our economy and reduce our growth, at least in the short to medium term. This is agreed by virtually everyone in politics, including many prominent Brexiteers. The only debate is how long the damage will last and how deep it will be before there is (hopefully) an upward turn. Much depends on the kind of trade deals we get. Your argument is purely political and does resemble a ‘crusade’ because you are unwilling to seek middle ground and compromise. I’m not a detailed expert but I have studied the issue in extreme depth, so I think I know what I’m talking about! Not true at all. Experts are everywhere in the professions. You may not have had a heart attack yet, but your cardiologist should be able to expertly assess whether you are likely to have one! Absolutely correct. And we will have to do so, but that simply confirms that we are heading into potential disaster and this nation’s citizens will pay for it. There is no need for this at all if we agree to compromise with the EU, which the government isn’t open to doing. “What I know is the electorate spoke and that must be respected full stop. The electorate can speak again and change its mind if the situation changes and new circumstances come to play. This is why I support a second referendum. I’m furious at certain members of the EU suggesting that we should have another referendum. This is just nonsense, of coarse it pays them to be as difficult as possible in a covert attempt to keep the U.K. from leaving. This cartel club should keep their nose out of our democratic country, it confirms to me the agenda to rule over all countries in the club and no matter if they have a vote they are strong and big enough to ignore or override it. I’m determined more than ever that we should be out. Just who do they think they are???? They are not our lord and masters. And are clearly rattled that we have chosen self determination. The silent majority should speak out now, walk away and walk away now. That will spark conversation on this forum!!!! By the same line of reasoning Scoland and NI should be allowed to go free. Who do the English think they are, going against the wishes of the Scottish and the Northern Irish! They are not their masters! 1) No deal. Probably the choice of the most fanatical brexiteers. It will cause chaos and a lot of damage, but the only option that will please the brexfanatics. 2) Canada+ with Irish backstop. Ruled out by May who is unwilling to have a customs border on the Irish Sea, but backed by many Tory brexiteers. 3) EEA with or without customs union. Unacceptable to most (but not all) brexiteers and ruled out by May. 4) General Election. Possible new government to sort out the mess, but this would necessitate a postponement of article 50. 5) Second Referendum. In my opinion the best policy and the only one to ensure that whichever route is taken has democratic accountability. However, again we would probably need article 50 to be postponed as May has ruled this option out. What’s your pick, and why? Well your response is one of the most sensible I’ve seen from you, although the insults to Brexiters continue. Looking quite attractive st the Mo. EU are plying hard ball, we can also. How far is the airbus going without wings? I know we’ve covered this before but it will take many years for them to gear up, in the meantime they cannot flyvfar. WTO does not mean no trade it would mean tariffs BOTH WAYS!!!!! Experts/economists forget the income from our tariffs in tens of billions and the saving of £40b divorce bill. Again another good option but again EU should not interfere with the UK constitution but we all know it’s about keeping some Irish MPs on side. Unacceptable out means out. We should not submit to rule taker without any influence. You really don’t think the risk of Corbyn in power is a good way forward, anyway how would labour have come to any different conclusion??? We have had two votes already, one referendum and one general election where lib dems were wiped out. They were the only one standing on a second referendum. There is the answer from the people. In answer to your final point. Walk away now and EU will know we’re serious. In business a month or so ago I walked away from negotiations, the other side were gobsmacked. Because they also stood to loose out. They begged me to come back. I did and I got my way + + That is a daily occurrence in business, and this is all about business!!!! The EU just told the UK that it’s ready to have the no deal with the UK. See, the UK was gobsmacked. Or I’ll eat your hat!!! We had better start building aircraft bodies then. I have listened and commented (in my own little way) and read your arguments and insults. Time now to make the most of a difficult job and sort out the NI/Eire border problem. What are your ideas to solve the problem.